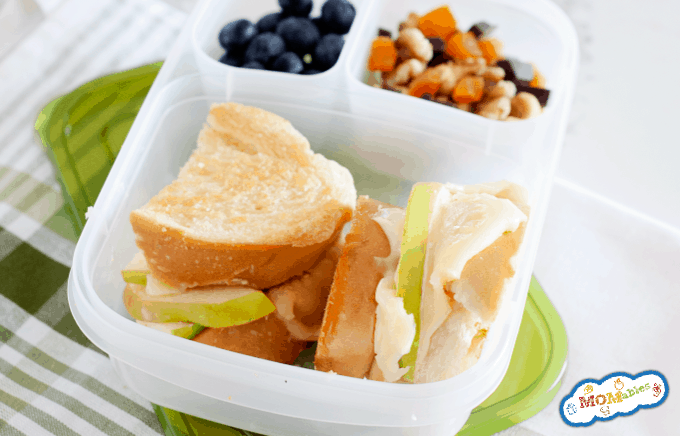 You’re going to love this Apple Cheddar Grilled Cheese Sandwich for lunch. It’s the ultimate combination of sweet and savory inside everything you love about a grilled cheese sandwich! So you have picky eaters. Or maybe you’re tired of serving up the same peanut butter and jelly sandwich for lunch day after day. But your kid eats apples. And cheese. And loves grilled cheese. 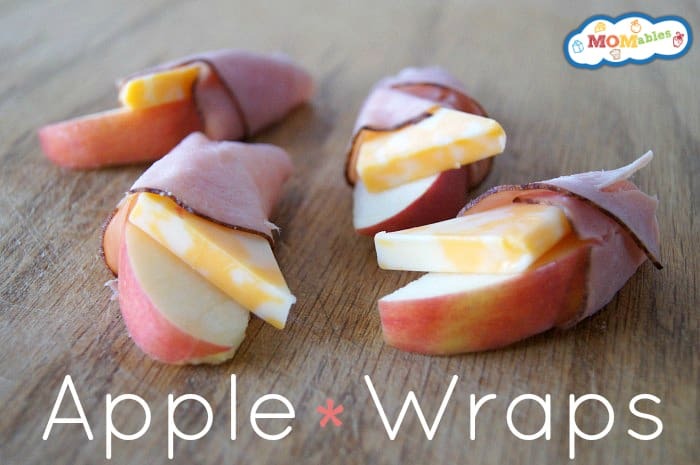 And yet, you’ve never thought about grilling apples and cheddar and packing it for lunch? Oh yeah. This might be epic. But first, do you know how to grill a sandwich and pack it inside a lunchbox? Check out this quick video. See? Not so hard, right? 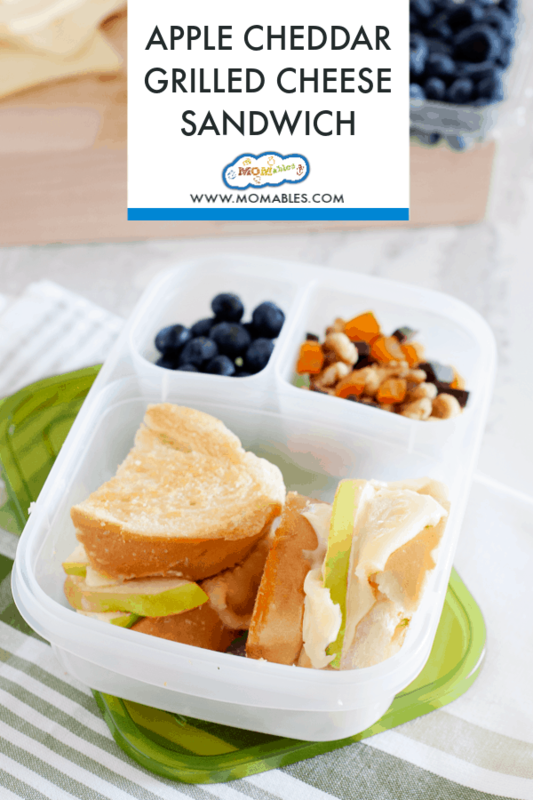 Sometimes, all we need is a little help to come up with new ideas to pack inside a school lunch or meals to make for dinner. And truthfully, coming up with new ideas that have elements the entire family will eat can be a daunting task. But fear not. 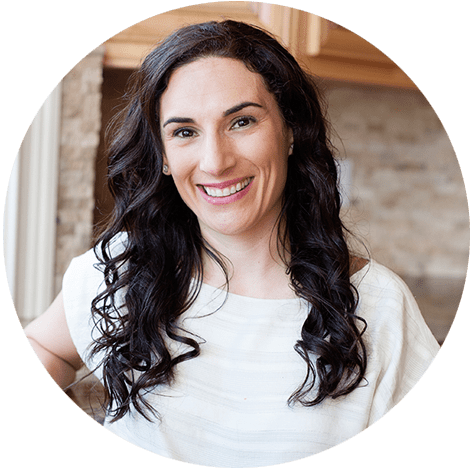 The MOMables Meal Plans are exactly what thousands of parents are doing to help them plan, shop, and meal prep their family’s meals. And this grilled cheddar and apple sandwich lunch? It’s not your typical sandwich because every bite is better than the next. If you pack it how I showed you in the video above, it will be crispy for lunch –granted not hot- but we all know how delicious a crispy, buttery, piece of bread can be. And sometimes, when it comes to helping our picky eaters try new things we just need to find ways to introduce things in familiar ways. You know? Here’s to yet another epic lunch! Place the sliced bread on a flat surface. Butter one side of each slice, flip over. Place a slice of cheese on each unbuttered side. Layer the apple slices onto 2 slices. Assemble the sandwiches, making sure the buttered sides are facing out. Grease a medium non-stick skillet and heat over medium-high heat. One at a time, grill each sandwich for about 2 to 3 minutes until it’s golden and the cheese has begun to melt on that side. Flip sandwich and grill on the other side for an additional minute or 2 until it’s golden, crispy, and cheese is melted. Serve immediately, or, to pack in a lunchbox, wait for the sandwich to cool to room temperature before packing inside a lunch container.